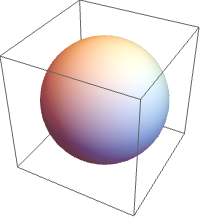 prints as the standard Wolfram Language two-dimensional representation of expr. StandardForm incorporates many aspects of traditional mathematical notation. StandardForm is the standard format type used for both input and output of Wolfram Language expressions in notebooks. Graphics and Graphics3D are displayed graphically in StandardForm. StandardForm can be edited in the notebook front end. StandardForm uses special characters as well as ordinary keyboard characters. StandardForm is based on boxes. The notebook front end contains menu items for conversion to and from StandardForm.